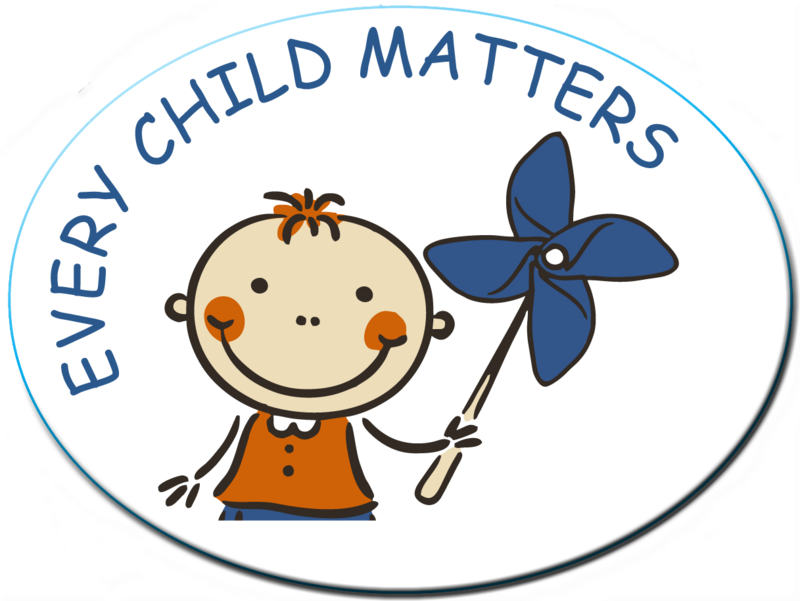 EVERY CHILD MATTERS - Roll of 1,000 Stickers(#229-S). 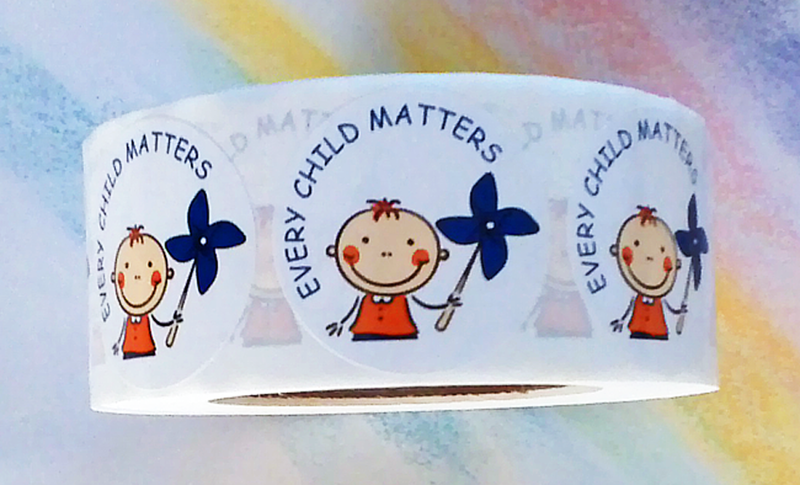 Roll of 1,000 - 2" awareness stickers only $53.95 per roll. FREE POSTER OFFER! Purchase any combination of *three or more rolls of our stickers for the sale price of $48.95 per roll… and you will also receive one of our posters….Free! Regular price is $53.95 per roll of 1000. You choose, all one theme or a combination of designs. In addition to our sale packages, quantity discounts are available on many of our products including Buttons, Lapel Pins, Magnets, Pencils, Pens, Stickers, Wristbands & more. The price break & percentages differ with each item. Please call us at 1-800-366-2150 for details. 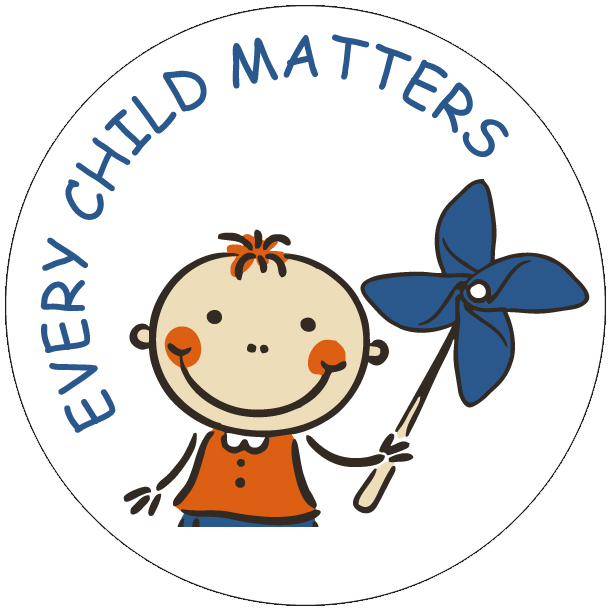 EVERY CHILD MATTERS-Pinwheel Novelty Pen. (Product size 9" x 3 1/2"). Only $1.25 each. *See next page for custom imprint orders and quantity discounts.